Charles A. “Chuck” McLaran, 85, passed away peacefully on April 2, 2019, in Eugene, Oregon. 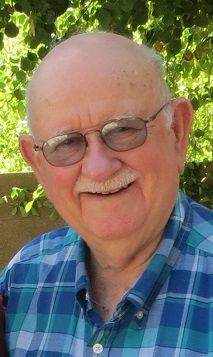 Chuck is survived by his wife of 63 years, Julia “Kathy” Thomas; daughter, Joan Kerfoot of Eugene; son, Daniel (Lisa) of Litchfield Park, Arizona; along with seven grandchildren; seven great-grandchildren; four nieces and two nephews. He was preceded in death by his son, Michael of Salem, Oregon; his sisters, Tena Warhmund of Houston, Texas; and Julia Much, of Tucson, Arizona. Chuck was born July 6, 1933, in Dallas, Texas, to Shelby and Myrtle McLaran. After serving in the Korean War, Chuck graduated from Texas A&M University in 1960, majoring in English. He joined the FBI July 17, 1962, eventually settling in Oceanside, California, where he spent 26 years in the Bureau. In the winter of 1989, Chuck and Kathy moved to Albany, where Chuck served 12 years as the Mayor. Chuck’s involvement in the community extended to many organizations during his lifetime. He was an active Rotarian, a member of the Sul Ross Masonic Lodge 1300 in College Station, Texas and served as Venerable Master of the San Diego and Imperial Scottish Rite. A celebration of life will be held at 2 p.m. on Tuesday, April 16, 2019, at the United Presbyterian Church in Albany, where Chuck and Kathy were active members, with Chuck serving as a Deacon and Elder. The family welcomes Chuck’s friends to attend a reception at the church fellowship hall immediately following the service.